Spellcasting VR games were just asked to be made once developers have gotten their hands on the first develop kit headsets. Who doesn't want to become Harry Potter and conjure powerful white and dark black magic spells using his own hands? I know I do. 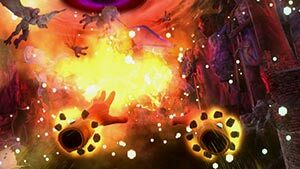 Many of those types of spellcaster virtual reality games played like FPS games, some offer more depth and strategic gameplay experience that employ both defending and attacking capabilities. 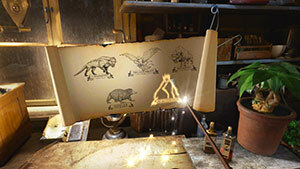 To make those games more challenging, enchanting, intuitive and fun, developers applied motion gestures for each spell. 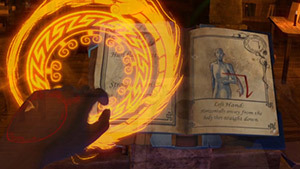 Some of the games employ a gesture-based magic conjuring system that allows you to cast even dozen of spells which you can learn from a magic book. Each spell has its own unique gesture and players need to draw glyphs by defining a shape in the air in order to cast that spell. 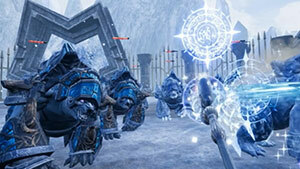 This means that players need to memorize the spells (sometimes several combo gestures) and employ them at the right moment in real-time as they combat AI or real players in PVP matches. In this page you can find a list of spellcasting VR games, some are single-player RPG games, other aimed to please those who are into competitive spell-fighting multiplayer games. Many of this games obviously are more immersive when played with VR motion controllers which represent your own hands in the virtual world It's such an amazing experience daring a shape in the air and watching it turning into a powerful magic spell. It makes you feel like a powerful sorcerer, wizard, mage or necromancer, and you can enjoy all his wizardry spells and tricks to influence other players and the environment. 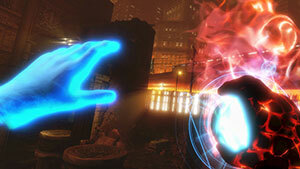 The Unspoken by Insomniac Games for Oculus Touch was one of the most influential games in that genre. An arena spell-caster shooter where two arch-mage players fight versus each other on a dynamic battlefield. It was so amazing being able to summon an AI skull to fight alongside you and unlocking more mighty spells as you progress, playing in different game modes and trying out new classes and their unique abilities. Another great thing about spell-casting games is that they just look better on screen due to the stunning vibrant glowing particle effects. In this page, you can find spellcaster games for your favorite VR platform or headset, including HTC Vive, Oculus Rift, Gear VR, Google Daydream, PSVR and other virtual reality platforms and headsets. This list is updated on a regular basis, so don't forget to visit us often to find out about new and upcoming spellcasting VR games. Fantastic Beasts and Where to Find Them is a VR experience where you get to be a wizard and step through Newt Scamander's case and explore the amazing world of Fantastic Beasts and Where to Find Them. In The Broken Seal, you can use your own voice to cast powerful spells as you fight against evil. The game features a multiplayer mode where you can play alongside your friends. 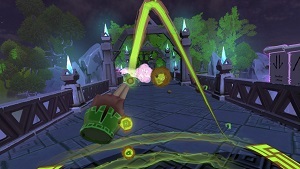 The game features dozens of spells that are unlocked as you progress through the game. 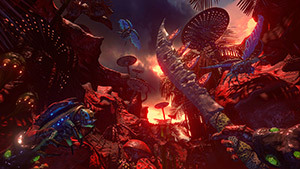 Primordian is an action adventure game taking place in a vast ancient world. These are the last days of the first planet and the civilization that exists on it billions of years ago. You are on a unique journey, following the story of this place, trying to survive its horrors using spells and unique organic weapons. Krieg is a room-scale team-based fantasy multiplayer competitive game where two side are pitched against each other: The King's Army and The Ancients. 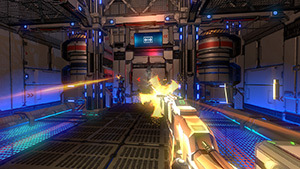 The game features unique 3D artificial locomotion that makes it unique among other competitive MP games. 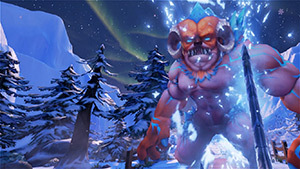 Tales Of Glacier is an action adventure game in which you fight against the evil giant ice dragon who threatens for occupy the entire world. Use your two-handed sword, wands and bow and arrow to fight against the evil and bring back piece to the land. Bethesda's popular RPG title Skyrim is coming to PSVR You can now reimagine the beautiful Tamriel world and take an epic adventure with an exceptional sense of scale, depth, and immersion. 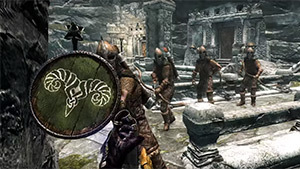 In Skyrim VR you are in the role of a Dragonborn which can harness the power of dragons. You'll be fighting against ancient dragons and many other fantastic creatures, exploring this vast open world in any way you choose to. The game was first announced at E3 2017. It's coming to PSVR in November 2017. 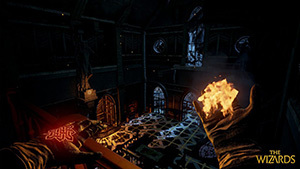 Mage Guard: The Last Grimoire is an immersive spellcasting VR game. You play as a guild mage defending the guild's most powerful relic called "The Grimoire". In the game, you'll need to battle against waves of attackers trying to hijack this valuable artifact. Like other spellcasting games, you need to memorize different spell gestures and use them interchangeably to defeat your enemies. The Wizards is a spellcaster game, in which the player get into the shoes of a powerful sorcerer and need to use magic to protect his land from hordes of monsters. Like other games in this genre, you can create spells by using gestures using the motion controller. The game's story mode featuring time travels and heroic battles and incorporate a card and spell upgrade system for a higher replay value and more strategical thinking gameplay. 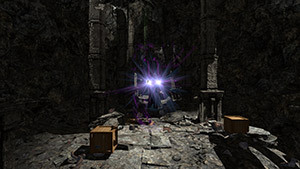 The Mage’s Tale is a VR dungeon crawler RPG game for Oculus Touch where all the dungeons were created by designers not procedurally generated by an algorithm. 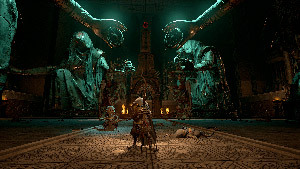 The results is a visually stunning game, featuring 11 dungeons, each one has its own unique look with dangerous enemy encounters and puzzles to solve.